Centrify Zero Trust Privilege is designed to help minimize the attack surface and control privileged access to the hybrid enterprise with identity assurance, just-in-time and just enough privilege, advanced monitoring and reporting. Work for Centrify Zero Trust Privilege? Learning about Centrify Zero Trust Privilege? "Great for Desktop but questionable on mobile"
The thing I like most about Centrify is that it's a no frills, easy to use SSO solution. The UI isn't particularly flashy but it's very simple and I've had no issues since using the software. It appears that the mobile app will only work if you completely wipe your mobile of applications and memory. Since I use my personal phone for work, I did not download the mobile application from the Google Play store. Please make it so I don't have to wipe my personal mobile phone completely clean to install Centrify. As a SSO solution and being able to log into all my business critical software with a single username and password. "Centrify makes logging into my business accounts a breeze"
Centrify allows me to log in once to my work server, and then I can access our payroll, company website, and various other tools. Sometimes Centrify will log me out, and I have to log in again. Centrify allows for quick and easy access to all of my files and company websites with a safe and secure single sign-on. It's a great tool for any large business! Centrify allows me to easily access any of the company-related sites I need to use, and I can use one single log-in for all of them. It also gives me a sense of safety concerning my information like payroll (e.g. my SSn, bank numbers, etc). "Makes remembering 1 million passwords so easy." All my things for work are in this one area, where I can easily log in and out of. It makes my workflow a lot easier. I think the process of adding an additional account, could be a little bit more simplified. If your employees are using a lot of resources, or online platforms, this will make their lives a lot easier. There are many products and websites that I need to use for work, so basically it’s ease of transition between them. Centrify helps us manage UNIX, Linux, and Mac clients with a simple, yet powerful interface. Access control is as granular as you choose. Everyone at Centrify (account reps, case managers, Professional Services, ...) has been great to work with. I dislike having to enter 40 characters when I don't have anything to type in here. The upload screenshot section below doesn't work. I tried jpeg and png. Standardizing from multiple authentication methods (LDAP, NIS) into a common AD-based authentication scheme. This past year, Centrify helped us work through our issues with MFA requirements. We're in a current engagement with Professional Services on an AD consolidation project, and I will bring them back in next year to help convert an LDAP environment to Centrify. Once I'm logged in Centrify, I can access all of our tools directly from there, without having to remember any other password. Quickly logged in in all my tools! Only feature it is lacking is the unix group mapping feqture at the co6nputer role. In my opinion, the computer eole is not complete without ability to manage unix group at this level and only option remai s today is it can be either managed at zone or at the computer itself. "Centrify is a great option"
Really easy to navigate and keeps us secure. The ability to integrate all of your applications and solutions into a dashboard. The only thing I dislike is that I am prompted to sign in on multiple tabs when using SFDC. Ease of use and security are the two most important features for me. We can securely access all our applications in one pane of glass. My company currently does not appear to support mobile use. I believe it is a more manual process to set up. Security, ease of access to applications, easy sign in process. "Great product - does a lot of things"
Zero trust security. Role based authorization and rights assignments. Support for multiple platforms. Securing the enterprise, from within and without. Centrify is easy to use and reliable and has great customer support. It'd be great to have more apps and more pre-configured apps. Centrify helps minimize user confusion and decreases ticket count due to password related issues. It makes everything more convenient for our user base. Gaining access to data is thorough and makes me feel secure in accessing data and that no one else will be able to access my information. It knows that I am using my computer to gain access. Sometimes I have issues gaining access if I do try to go through a VPN server. It is a more secure and safer way to access data within the company network of people and there is less opportunity for someone to breach the business network. "Quick easy tool that helps me focus on not having to remember my password." Makes me not have to remember my passwords. Works seamlessly. Nothing its a great tool. I do not have anything to complain about it. I have more time to focus on other things. Because I don't have to remember 100 different passwords. It's great for a centralized login system. Easy to login and access apps. It randomly logs your out without rhyme or reason. 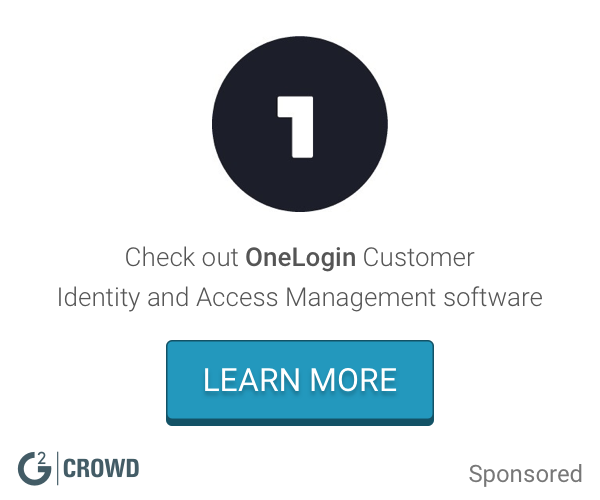 It's easy to access multiple applications without having to login with 18 different credential sets. After struggling with trying to get sssd to do what I wanted on an Ubuntu 14.04 platform, I switched to Centrify Express. Boom, worked. Pretty much flawlessly. Integrating Centrify with AD to manage a fleet of Apple Laptops? Also boom, worked. Support has also been top notch. Nothing specific to Centrify products. The things I dislike are more a function of inherent problems with or bugs in Apple or Microsoft products. Manage Apple laptops. Integrate Linux servers with AD. "Great for tying Mac's to AD"
I haven't really found much that I dislike except for some of the components like deployment manager can be a little finicky at times. "Centrify is Good in Theory "
I like the interface isn’t readily apparent to the end user. It doesn’t work and actually prohibits the access of information needed that could be easier accessed through a device’s existing settings. Strong engagement at the leadership level to support customers. Improved management of shared credentials. * We monitor all Centrify Zero Trust Privilege reviews to prevent fraudulent reviews and keep review quality high. We do not post reviews by company employees or direct competitors. Validated reviews require the user to submit a screenshot of the product containing their user ID, in order to verify a user is an actual user of the product. Hi there! Are you looking to implement a solution like Centrify Zero Trust Privilege?